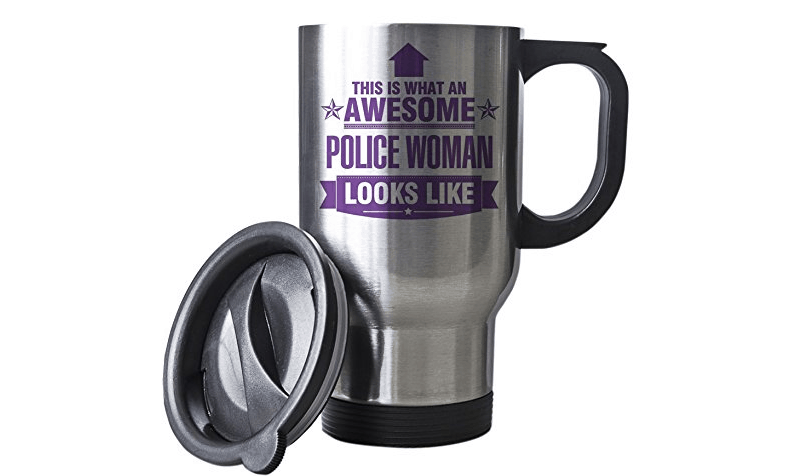 Get this insulated Thermal Mug with Awesome Police Woman printed on the side. It has leak proof lid and swivel hole drinking feature. Makes a great gift for Police Officer or Special Constable! It is a 14oz insulated stainless steel mug. It has a leak proof lid with some swivel features for drinking holes. This is ideal for keeping your brew hot at the crime scene, on mutual aid or any other form of operations where you always need a hot drink!